Inspired by the English stone cottages of Arlington Road, this 3000 sq. ft., 4-bedroom home is nestled in the residential section of the Golf Club of Georgia. It was designed for a busy husband & wife team of residential builders, and features stone walls and a steep cedar shakes roof. 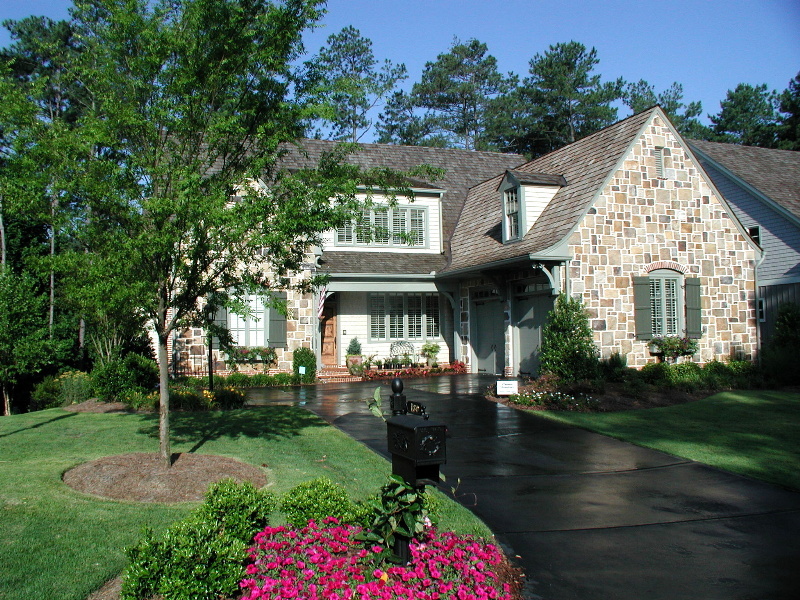 Ivy Hill won the Greater Atlanta Builders Association for Design Excellence’s 2001 Gold Award for Professionalism.